Piston coatings are no longer the space-age snake oils that mystified engine builders a few decades ago. First developed in the aerospace industry, coatings suffered a tarnished reputation in the early days of automotive use as racers claimed they often flaked off the metal parts they were presumed to protect. Continued development of new coating materials, improved application processes and weeding out of incompetent suppliers has helped liberate the coatings industry; but more important, engine builders and designers have embraced the positive benefits that today’s coatings offer. One of Wiseco's newest coatings is ArmorX. Read along to learn about the latest in coating technology. Part of the early confusion over coatings stemmed from a wide variety of offerings for different uses and engine parts. Some were designed to reduce friction, others formulated to shed oil or reflect heat. There were hard and soft coatings. Contributing even more to the puzzle was a mixed bag of trade names and ambiguous acronyms that often inflated the product’s selling points. 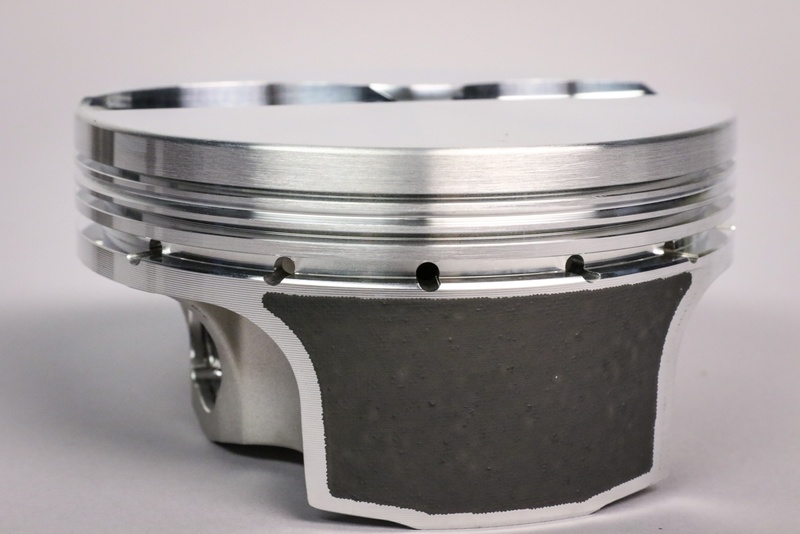 Wiseco keeps the subject matter simple, offering four coatings for its diverse lines of pistons that cover automotive, motorcycle and powersport applications. The trademarked nomenclature is easy to understand and almost self-descriptive to help the engine builder balance cost, performance and durability when ordering pistons. Those coatings are ArmorGlide, ArmorPlating, ArmorFit and ArmorX. All will be explored in detail, but first one of the most-asked questions regarding pistons must be addressed: Will coatings add horsepower? 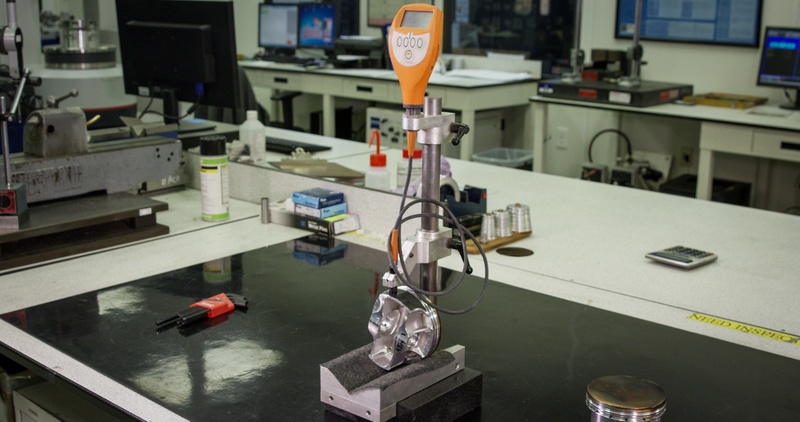 All coatings are rigorously tested on Wiseco's in-house Superflow engine dyno and validated in the quality control lab. High-end critical applications like Pro Stock will take advantage of every pony found through friction reduction, so piston coatings are not only welcomed but also developed to work with very thin oils. Other premium competition divisions like NASCAR and endurance racing will take advantage of the lower friction levels, but their primary motivation is survival. “Durability needs to be a consideration in a racing engine,” adds Fussner. 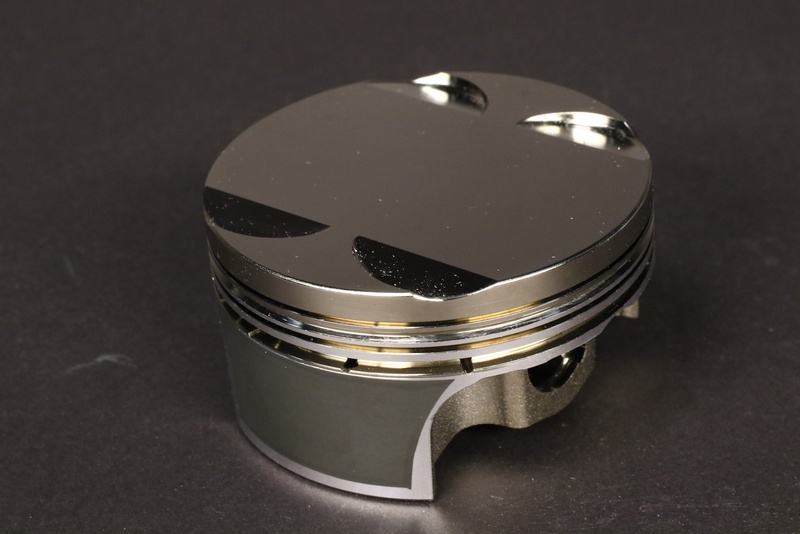 A dry-film lubricant applied to the piston skirt, ArmorGlide helps reduce friction to not only improve performance but also quiet down the piston in the cylinder bore. 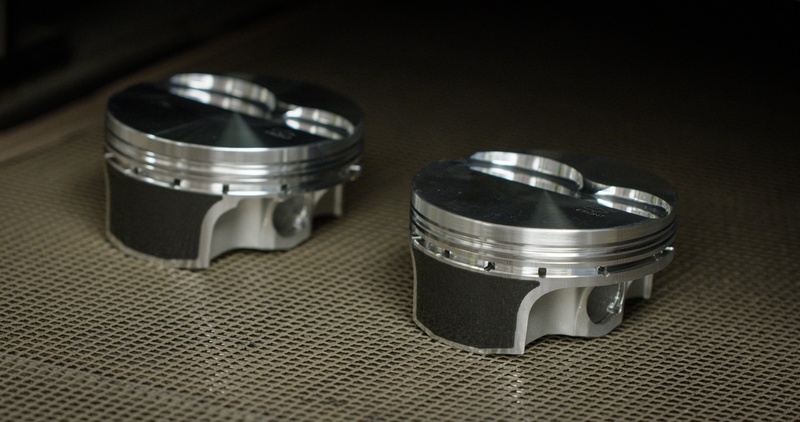 The coating is permanent, as it’s applied with a unique computer-controlled screen-printing process that’s designed not to compromise the piston’s base material, geometry or heat treatment. The screen-printing is also why the Wiseco logo can be neatly emblazoned within the coating and not hinder performance. A set of Ford 2011+ Mustang Coyote 5.0 pistons with ArmorPlating and ArmorGlide. The piston is fully machined to the designated outside diameter before the coating is applied in house at the Wiseco manufacturing facility. The exact depth of the coating is kept proprietary, but it does conform to the detailed skirt shape and profile that is specific to each application. How does moly work? It’s a very structured, hexagonal-shaped molecule that exhibits strength when tipped on its ends, but when lying on its side moly will shear apart easily. Think of trying to slide across a rough concrete floor with sneakers on your feet. You won’t go too far. Now spread thousands glossy postcards across the floor and try again. 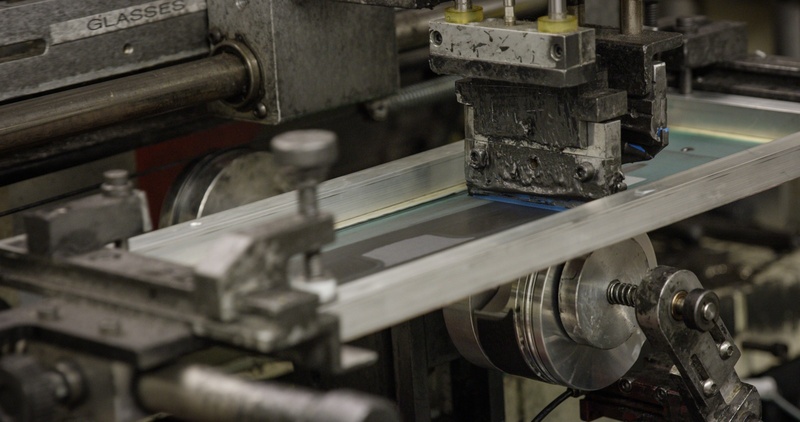 There is no liquid oil or lubricant, however, the low shear properties between the slick cards allow plenty of sliding between the different layers. The overall effect is low friction as you glide across the floor with very little effort. Both ArmorFit and ArmorGlide coatings are applied in-house via a tailor made screen designs and cured during a multi-stage baking process. Also a dry-film lubricant, ArmorFit is a hefty, much more robust version of ArmorGlide, but it is a unique formula with its own application process. Developed following a long R&D project that included extensive dyno and on-road testing, ArmorFit is permanently applied to the skirt surface using proprietary Wiseco machinery, and is followed with a 2-step heat treatment-bonding sequence. It is designed to be the permanent sliding area for the piston against the cylinder wall. During engine operation, the coating will adapt to the dimensions of the specific cylinder in which it’s installed. 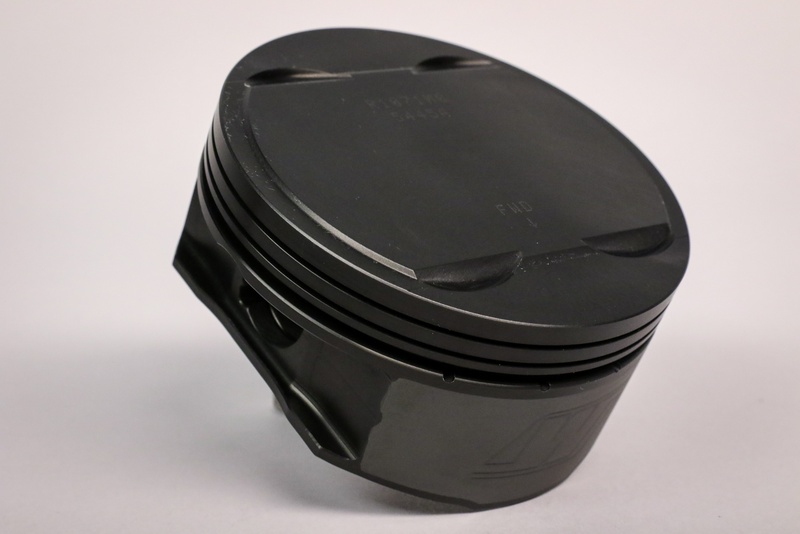 The end result is a piston with improved stability and quieter operation. 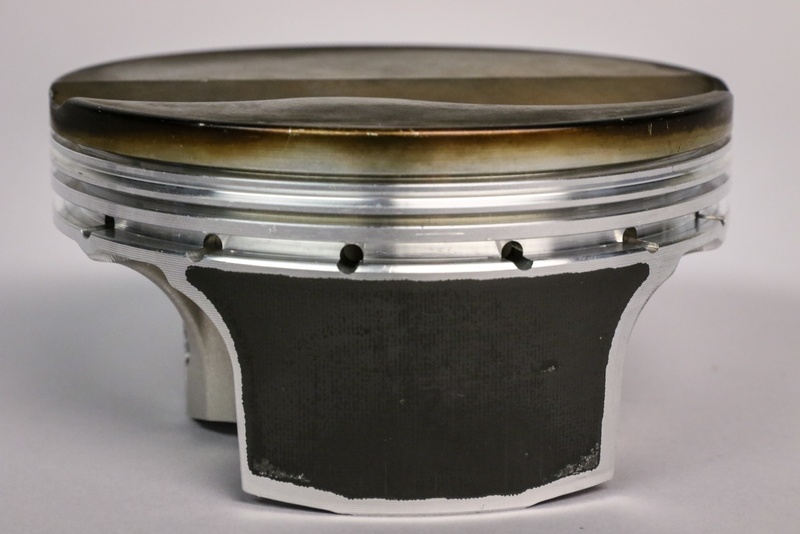 Wiseco's ArmorFit is a unique skirt coating that conforms to the shape of a bore for quieter operation and better piston wear. There is a cautionary caveat for engine builders who routinely mic the pistons and finished bore before assembly. The actual diameter of the bare aluminum piston is not adjusted to accommodate the ArmorFit coating—it’s engineered into the piston when the piston is manufactured for specific applications. The appropriate running clearance between the cylinder wall and bare piston will always be required, simply because the piston needs room to expand when brought up to operating temperature. However, it’s not possible to run an uncoated bare aluminum piston at a very close or zero clearance without scuffing or the engine seizing. There simply isn’t room for piston expansion and the engine oil. The self-lubricating ArmorFit coating takes up much of the clearance designed into the piston. “It can significantly reduce the clearance without any concern of scuffing, and then automatically self-fits itself into the specific cylinder that it’s installed in,” says Fussner. 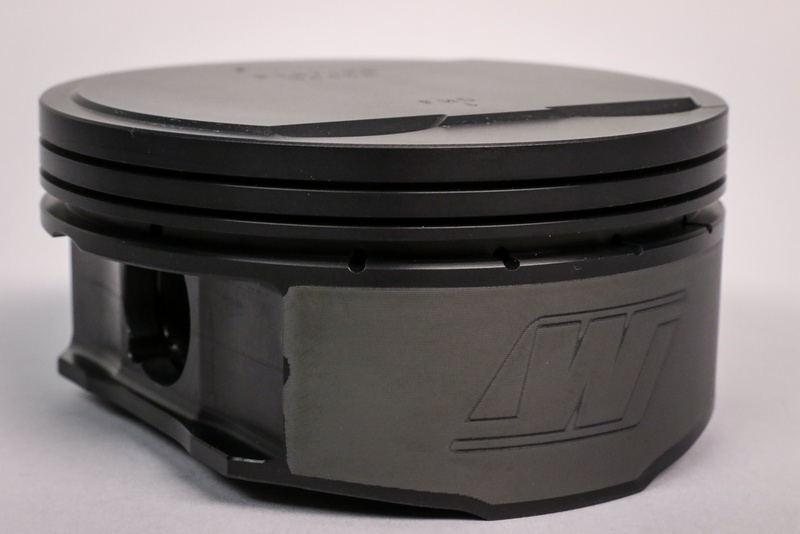 With that design strategy in mind, the engine builder sets the piston-to-wall clearance with the ArmorFit-coated by finishing the bore diameter to the desired nominal or oversize standard spec. ArmorFit self adjusts the skirt to bore clearances, which shows in the polished portions of the coating. The coating will not come off during normal engine operation. For example, an uncoated Wiseco piston manufactured for a 4.000-inch bore should be installed in a 4.000-inch bore, and an Armor-Fit-coated piston designed for a 4.000-inch bore should also go into a 4.000-inch bore. Unlike ArmorFit and ArmorGlide coatings that are applied only to the piston skirts, ArmorX covers the entire surface of the piston except for the skirts. ArmorX is designed for high cylinder pressure and extreme heat environments. Applied with a specific electrochemical process, the ArmorX coating leaves the piston with a distinctive glossy black appearance. An anodic coating is basically an oxide film that is applied to the aluminum metal through electrolysis. In other words, it’s a controlled oxidation. The piston is dropped into an electrolytic cell, which is a container filled with an acid electrolyte solution, and a direct-current electrical charge is applied from a cathode, or negative electrode, in the cell. The piston surface acts as the anode, or positive electrode. When the electrical current is applied, water molecules release oxygen atoms that attach to the anode, or piston surface. The oxygen and aluminum combine to form an oxide film coating. The consistency and color of the coating is determined by the temperature of the solution. This is also a protective plating for the piston but it is not an adodic coating nor does it cover the entire piston surface. ArmorPlating is great for detonation resistance and heat reflection. The piston is placed back into a CNC for skirt finishing. From there the skirt can be applied with ArmorFit or ArmorGlide...or left bare. ArmorPlating is applied to the piston dome, ring grooves and wrist-pin bores. It provides a low coefficient of friction, prevents piston-ring blowby and helps offer protection against detonation. “In fact, Wiseco ArmorPlating has the best resistance to the erosion of detonation of any known material,” adds Fussner. Within the forged-piston market there are two popular alloys: 4032 and 2618. The former is generally used for street engines while 2618 is better suited for racing conditions. The plating process is very detailed, necessitating numerous baths and intense cleaning to ensure a suitable surface before the piston goes into the plating bath. 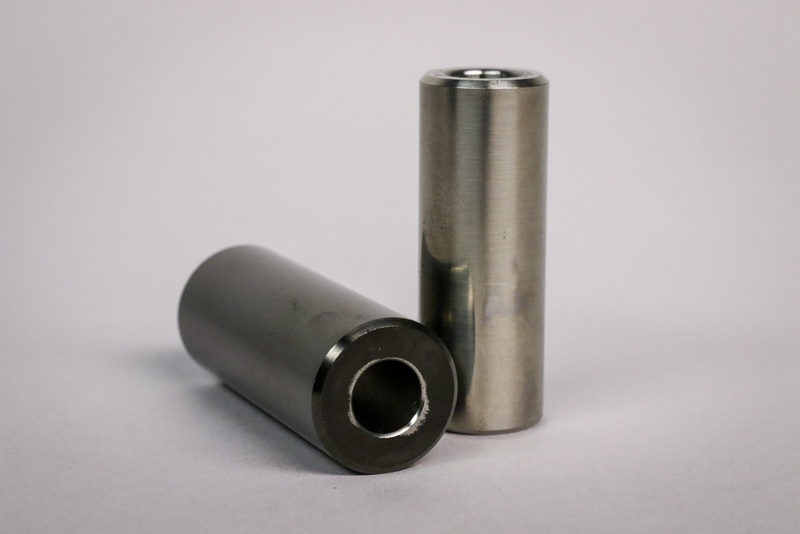 Another highlight of ArmorPlating is the increased wear properties of the pin bore. 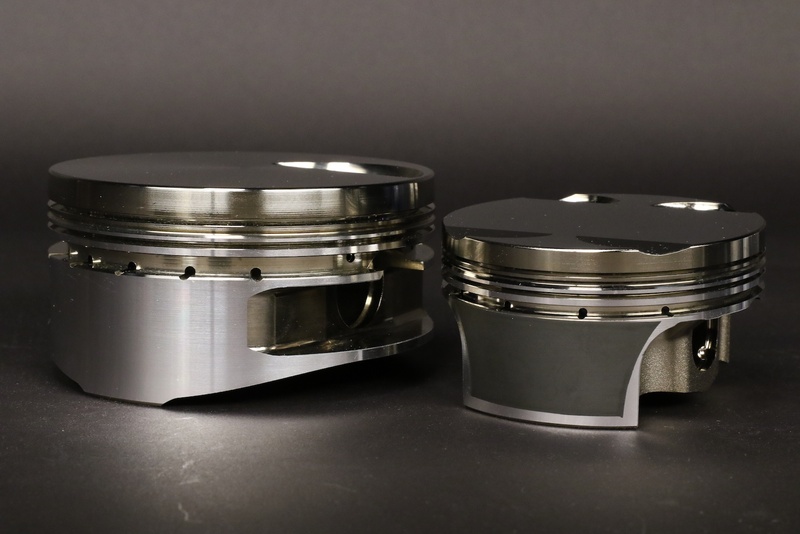 After the plating process, the piston skirts are machined to the intended size and shape. A friction-reducing plating can be applied to the skirts, if desired. 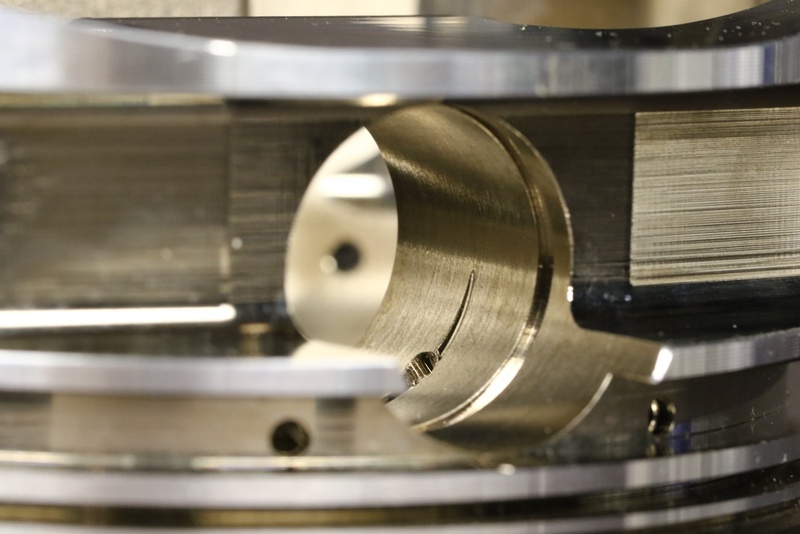 The plating is so accurate that it can be used in very small holes, like gas ports, and it’s very effective in ring grooves where there are precise angles and surface finishes. While other types of plating procedures can leave inconsistencies around edges or corners, the ArmorPlating provides an even thickness where applied. Some engine builders may polish the domes to resist carbon buildup, but Fussner says that step is not necessary with ArmorPlating. While not a piston coating, DLC is applied to some piston wrist pins in the Wiseco catalog. DLC, or diamond-like carbon, provides an extremely hard surface while offering a low coefficient of friction. It’s becoming popular in many OEM applications, and some race engines DLC coat numerous parts, including camshafts. “It’s most resistant to metal galling of any known substance. That’s where it really shines, between the pin, connecting rod and pin bore,” says Fussner. DLC coated pins provide an extremely hard surface while offering a low coefficient of friction.